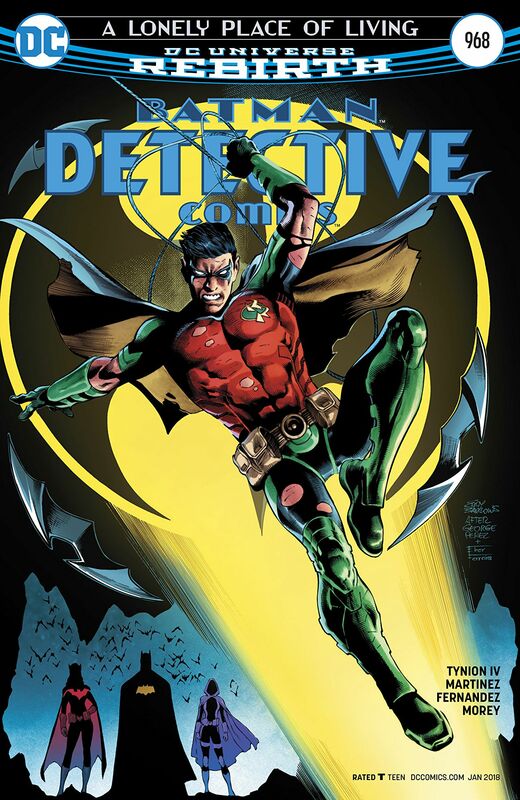 With Batman still reeling from the devastating loss of Damien Wayne, an old enemy returns to Gotham City, one who is capable of evading the Dark Knight himself to strike at Bruce Wayne when he lease expects it. The shroud of Robin’s tragic death still hangs like a dark cloud over Batman #19 as Scott Snyder and Greg Capullo explore the depth of Batman’s grief. 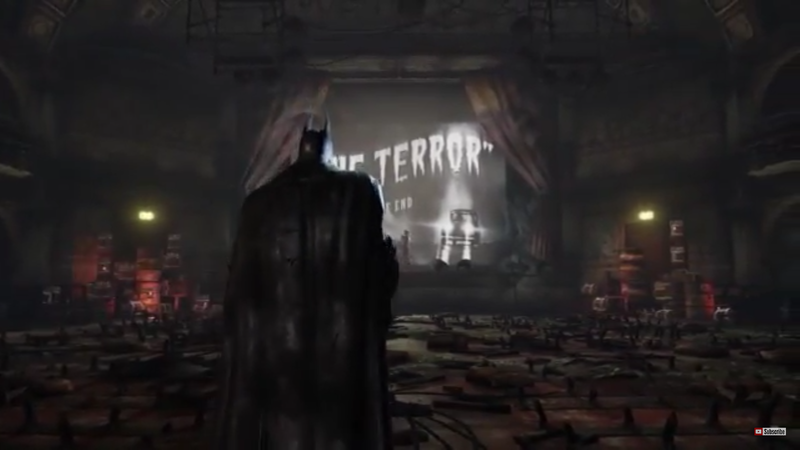 It begins ordinarily enough, with Commissioner Gordon and Harvey Bullock dealing with an armed bank robbery. 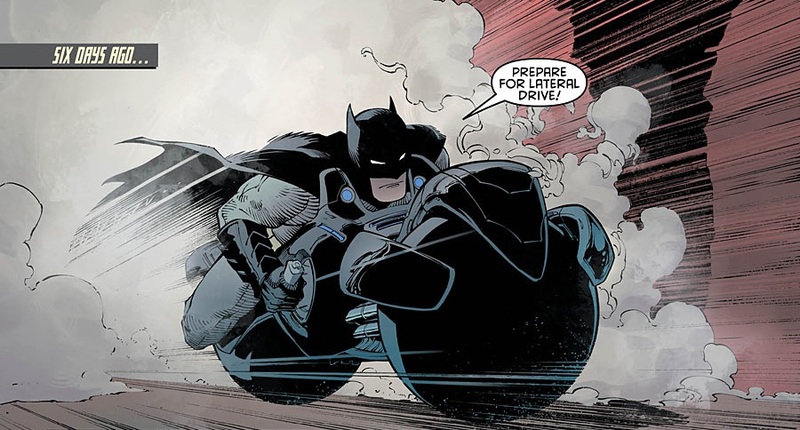 But when Bruce Wayne walks out holding a female hostage at gunpoint, with explosives strapped to her body, things take an inexplicable turn as Bruce pulls a shotgun on Gordon as he makes his escape on a motorbike. Events then shift back six days where we rejoin the Dark Knight as he studies the Cowl Archives in the Batcave, lost in thought, as he recalls stopping the Reaper’s plan to deliver a truckload of poisonous flowers to the Falcone wake with Damien. As the memory fades Alfred bring news of the Brian Wayde’s death, the architect of the design company that Bruce Wayne hired to build his Gotham Initiative. He was a trusted ally, who was also terminally ill with Myelodyplastic Syndrome, which makes his apparent suicide all the more unsettling. 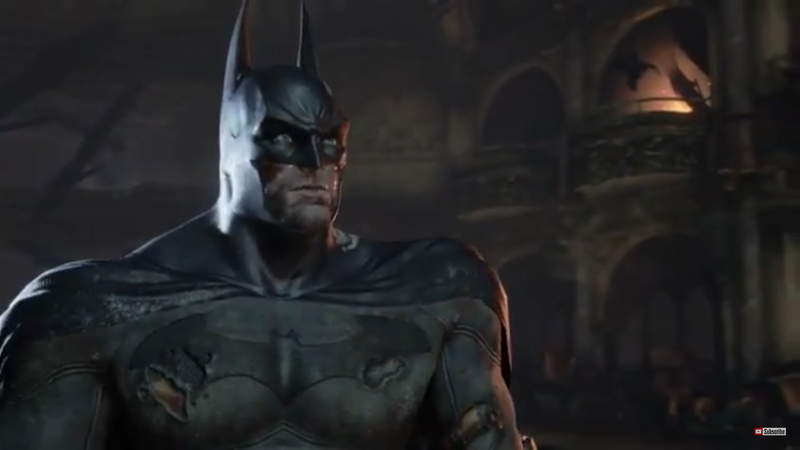 With his suspicious raised, Batman investigates Wayde’s apartment, but it would seem the architect has faked his death when he suddenly emerges from the shadows and attacks Batman with a flame thrower. 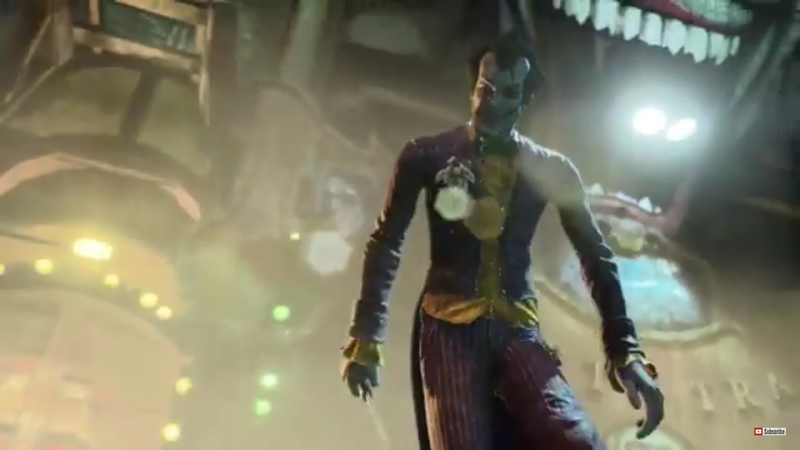 After a brief fight Wayde flees the scene, using an elevator to escape, Batman gives chase but soon looses track of Wayde after he runs into the subway station. 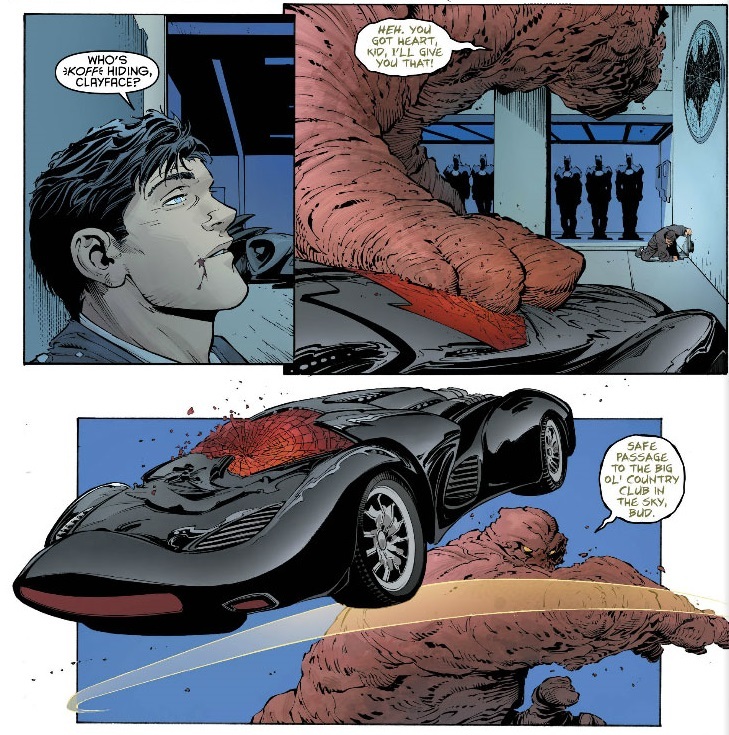 After analysing a sample of Wayd’s blood the DNA seems to match, but traces of a Chimeric Code point towards another, more likely suspect – the shape shifting criminal Clayface. Batman #19 allows Scott Snyder to really explore the profound effect that Robin’s death has had on Batman. When we first see Batman it’s almost as if he is maintaining a silent vigil for Damien as he examines the Cowl Archive in the cave. There is a flashback to Batman’s last encounter with the Reaper, where he intercepted his truck and its deadly cargo, where Damien realizes that their exposure to the flowers toxins will kill them both in five minutes. As Batman calmly tells him that antidote is on the Bat-Bike, there is a great moment where Snyder heart-warmingly encapsulates Damien‘s character, as Robin smiles and makes light of them both being dead men walking. 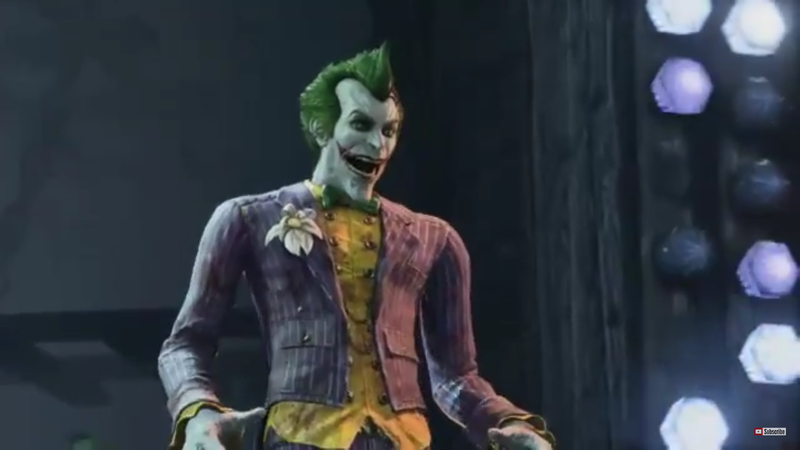 Alfred is unable to broach how Bruce is coping with Damien’s death, his concerns are quickly dismissed, especially when he mentions the damage already inflicted by the Joker after his campaign against Batman and his allies. 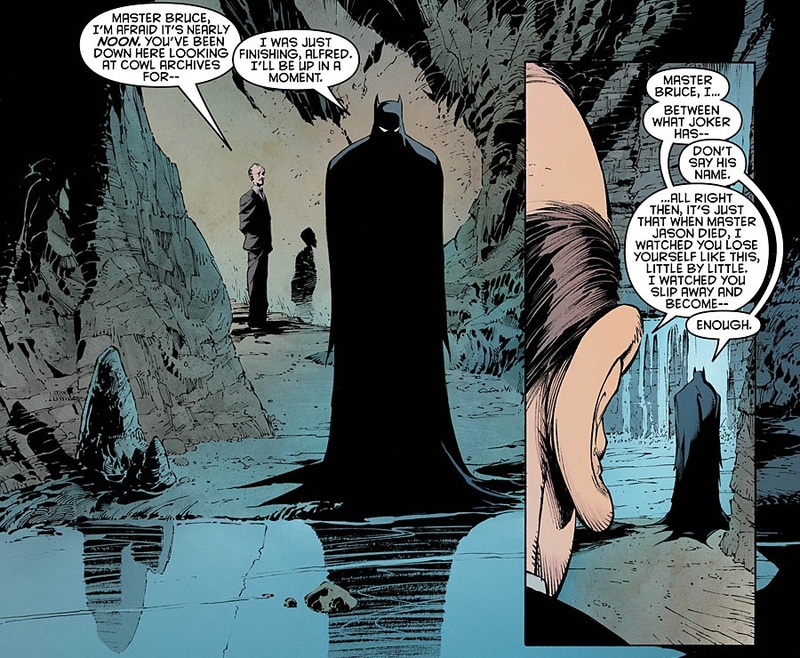 Batman seems to welcome the distraction of Brian Wayde’s apparent suicide, even though it means dealing with the loss of another close ally, it enables Bruce to withdraw from his grief for a time by focusing on his life beyond the cape and cowl. 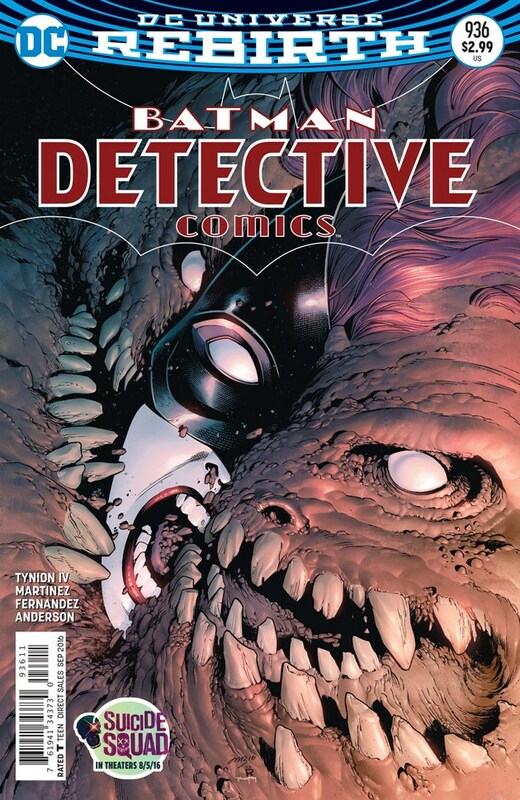 The return of Clayface is another welcome surprise, and it offers Snyder a fantastic opportunity to bring a whole new dynamic to yet another classic villain from Batman’s rogue gallery. The bizarre opening scene where Bruce Wayne robs a bank and shoots Jim Gordon suddenly becomes clear. As the Batman examines the DNA evidence that reveals Brian Wayde was really Clayface, we are treated to a fresh look at Basil Karlo’s origin, the actor who allowed the mystical properties of the clay he discovered to infect his body so he could become Clayface. I really enjoyed how Scott Snyder rationalized Clyaface’s abilities with the stories of shape-shifters throughout history: drawing comparisons with examples from the cultures of the Rakashasa and the Kumiho, Norse folklore, and Navajo legends of skin walkers. What makes these accounts all the more compelling is how the shaper-shifter slowly loses themselves after each transformation, their humanity gradually being whittled away, until the very essence of their being is consumed by the magical forces inhabiting their bodies. 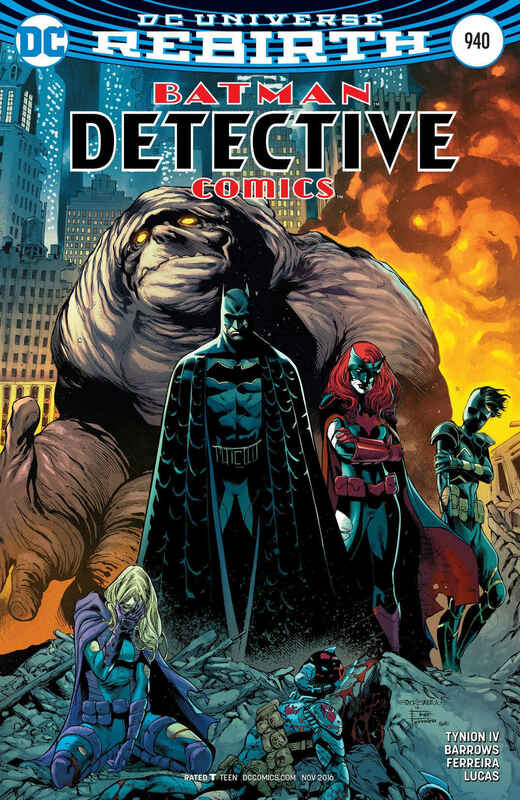 Greg Capullo returns this issue to bring his own distinctive style to Snyder’s dark take on the legacy of Clayface, moulding the taught storyline around Batman’s all consuming grief, brining considerable weight and power to the opening moments were Bruce Wayne shoots Commissioner Gordon – as well as the beautifully understated flashback featuring Damien Wayne. The inks by Danny Miki bring an added depth, and the colours by FCO Plascencia are also excellent. 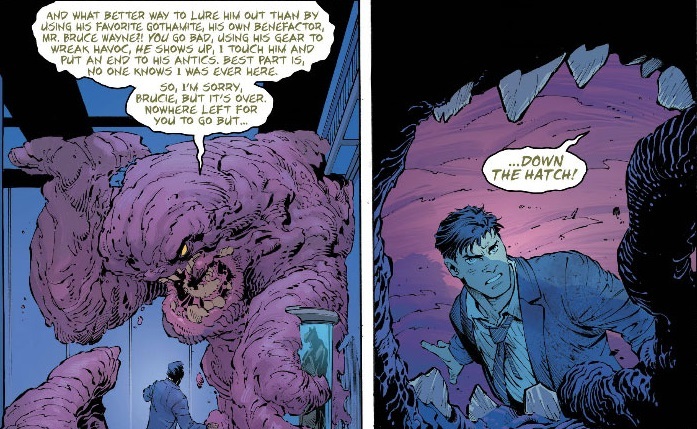 I really like how Capullo manages to capture how Clayface has become so immersed in the character of Bruce Wayne that he doesn’t even seem to realize what great secrets he now holds within his rapidly diminishing DNA. There is even a reference towards Snyder and Capullo’s next story arc, Zero Year, by Gordon, which continues to resonate long after Wayne‘s “doppelganger” has escaped the scene. As a villain, Clayface has enjoyed something of a renascence of late. In the past he has often gotten a bit of a raw deal, being portrayed as just a super powered brute, without any real focus or cohesive storyline. 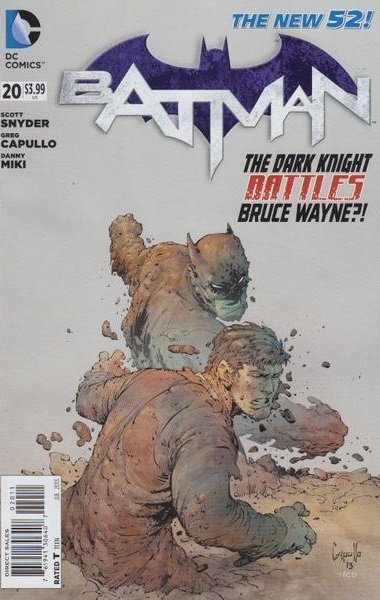 Snyder and Capullo have really taken the potential that Clayface has to offer and built on it, taking the concept of identity theft and possession to the extreme, while also underlining the awful truth of what price Clayface is unwittingly suffering for his incredible powers. This month’s backup story, Ghost Lights, is by James Tynion IV and Alex Maleev. It features Batman and Superman as they investigate the strange happening at a rundown apartment block. Having travelled to see how Batman is coping after Robin’s death, Superman’s attempt to get the Dark Knight to open up about what happened to Damien is cut short when a bizarre incident occurs inside the building and draws their attention. As they make their way towards the apartment Superman begins to feel unwell. Once inside they discover that a dark ritual has been performed, one that has unleashed a terrifying supernatural entity. I really enjoyed the first part of this new back up story. 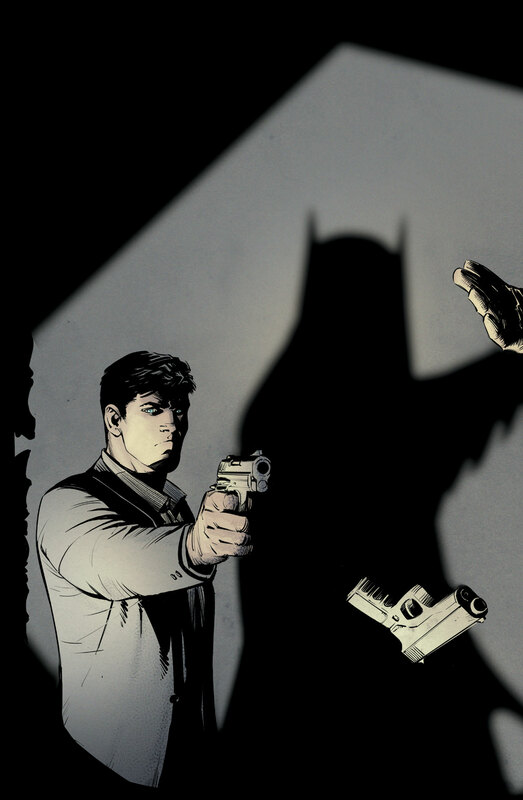 This dark supernatural tale by Tynion draws Batman and Superman together in the most improbable of circumstances. I like how Superman was as uncomfortable about the magical forces inside the building as Batman was about discussing Damien’s death. Another great aspect about Ghost Lights is the art by Alex Maleeve, which really helped build the spooky atmosphere of the story. Batman #19 also features a striking gatefold cover by Capullo and FCO Plascencia that really blindsides you about what to expect from the story, and it keeps you guessing about where Clayface will strike next right up until the final moments. 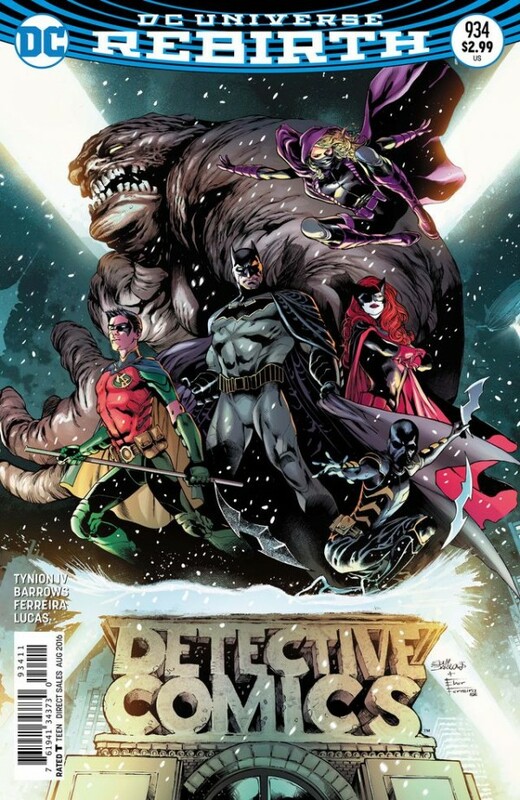 This is a terrific issue by Snyder and Capullo, it brings a whole new element to Clayface’s powers, and goes to great lengths to underpin the Dark Knights grief in a story where not everyone is quite what they seem.